PracticeLink.com W INTER 2018 67 live & practice LIZ FUNK W he N D e CIDIN g W he R e to PR AC t IC e, P h YSICIANS W e I gh many factors: what health systems operate hospitals and clinics in the area, opportunities for career growth, what the patient population is like, and proximity to family. Of course, for many physicians, whether the area is a good place to raise a family is a top priority. 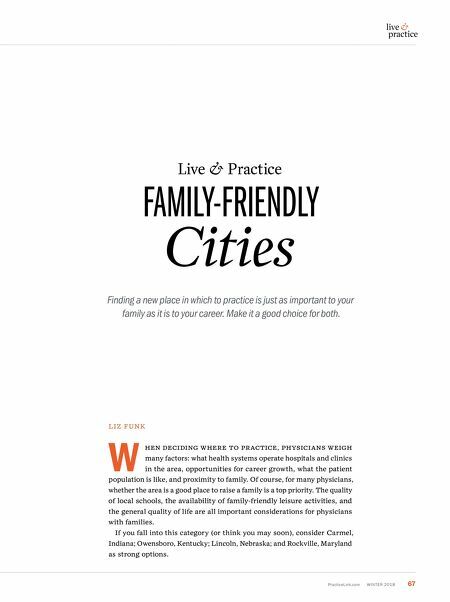 The quality of local schools, the availability of family-friendly leisure activities, and the general quality of life are all important considerations for physicians with families. If you fall into this category (or think you may soon), consider Carmel, Indiana; Owensboro, Kentucky; Lincoln, Nebraska; and Rockville, Maryland as strong options. 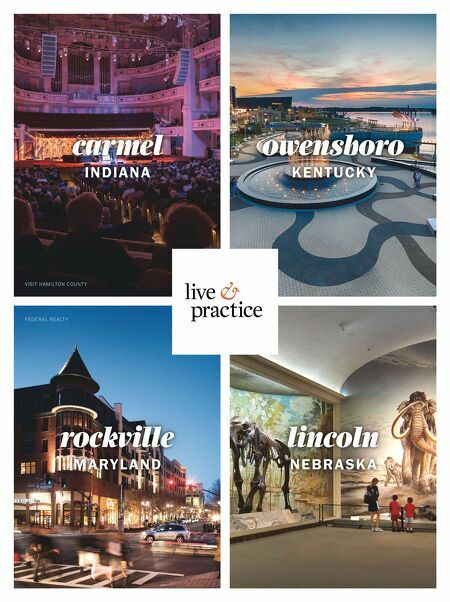 Live & Practice FAMILY-FRIENDLY Cities Finding a new place in which to practice is just as important to your family as it is to your career. Make it a good choice for both.